It’s time once again to take to the beaches in the fight against plastic pollution for the Great Global Nurdle Hunt!. 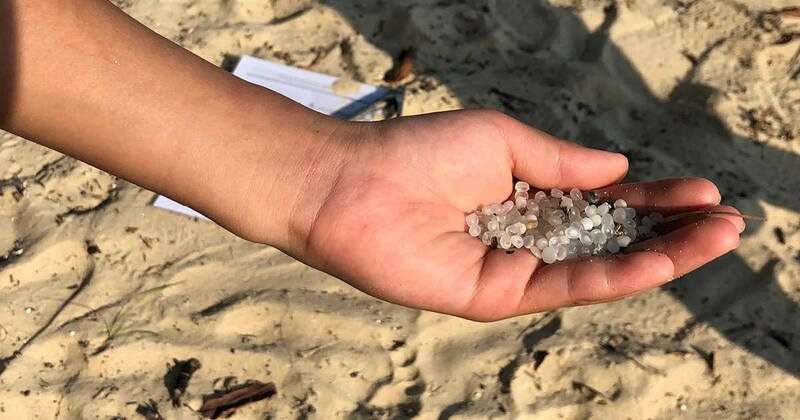 Between 8-17 February, volunteers around the world will search shorelines to collect and document the tiny polluting plastic pellets also known as nurdles. Less conspicuous than plastic bags, nurdles can slip under the radar of growing public concern about marine plastic pollution – despite being the second largest source of microplastic marine pollution in Europe. Every day, billions of nurdles are melted down and used to manufacture plastic products. They can escape into waterways if spills occur, which can happen at any stage of the production, transport or conversion process. According to recent analysis, between 16,888 and 167,431 tonnes of these pellets may be entering the ocean from Europe each year. There are also high-impact accidents, such as in 2017 when 2,000km of South Africa’s coastline was coated with nurdles following the collision of two vessels – 49 tonnes of nurdles ended up in the sea, an eye-watering 3.4 billion individual pellets. Once they escape into the marine environment, their small size makes nurdles incredibly difficult to clean up. They can act like sponges for dangerous chemicals and toxins, which are then likely to transfer into the food chain if consumed by marine life; 180 marine species have been found to ingest the pellets, which can easily be mistaken for food. To stop these pellets from entering the environment, all companies involved in making, using or transporting pellets need to commit to robust measures to prevent pellet loss through all stages of the supply chain. Retailers and supermarkets which sell the finished products should ensure that these best practices have been met before the item lands in a customer’s basket. Unfortunately, the recent survey by ourselves and Greenpeace, Checking Out on Plastics, found that very few UK supermarkets are currently engaged with suppliers on this issue. Operation Clean Sweep is an industry-led voluntary scheme which provides a toolbox of best practices to prevent nurdle loss. However, the scheme lacks monitoring and enforcement mechanisms and its voluntary nature means many companies in the plastics supply chain are not currently taking action. Consequently, we are campaigning for national and regional legislation which mandates best practice along the plastic supply chain, with monitoring and enforcement to ensure implementation of effective measures to prevent pellet loss.. 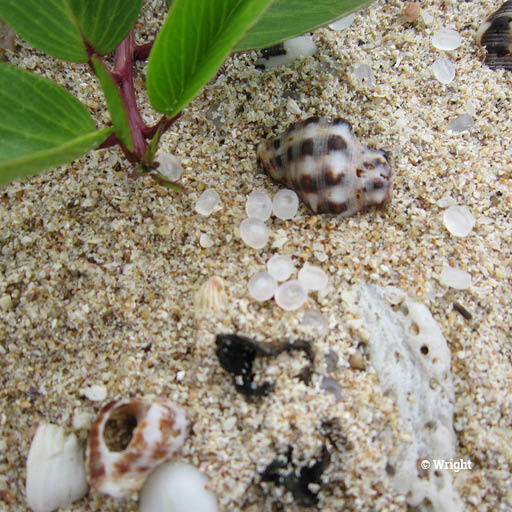 Curbing demand for the plastic products made from nurdles will also help reduce this major source of microplastic pollution and companies can take steps towards this by committing to reduce their plastic footprints. Billions of single-use plastic items and pieces of packaging used every year are unnecessary and can easily be substituted with reusable and refillable alternatives. 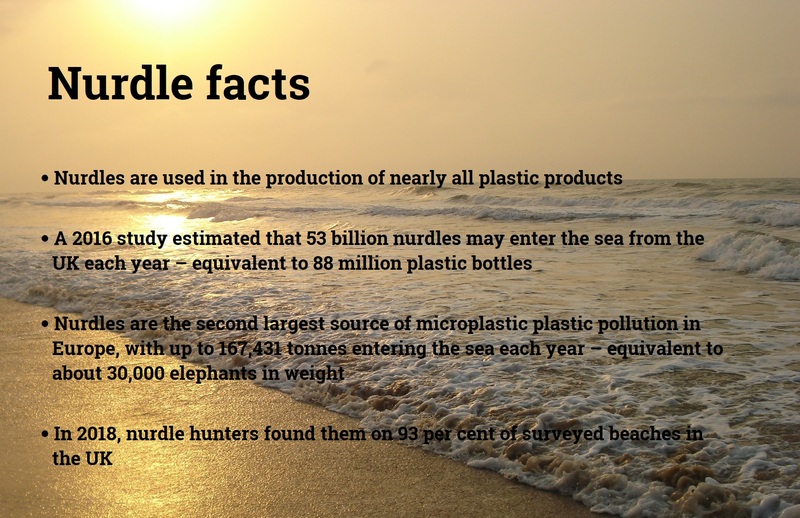 Everyone can get involved in the Great Global Nurdle Hunt to collect evidence and raise awareness of the problem. Together we can build a global database of pellet pollution, which in turn can force legislators and corporates to take action. Nurdle hunters play a crucial role in building our knowledge of pellet hotspots and identifying where leakages are occurring. If you’re near the coast this February, why not sign up to join this important effort?